Jace Tremaine hurt McKenna when she left for college eight years ago. In an effort to replace her in his heart, he’s had a parade of women through his life. Now, she’s a beautiful, successful woman, and Jace wants her forgiveness and her love. Enter Sawyer Blake, the physical therapist who helps McKenna in healing after a terrible car accident. Sawyer is a man of strong faith, and he sees in McKenna a woman he could love forever. 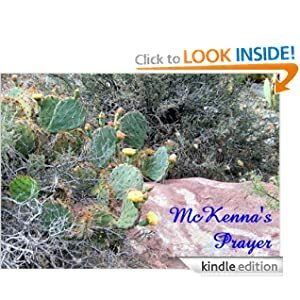 Can he pray for God’s will for McKenna, Jace and himself, and accept God’s answer? I’ve read a couple of Lisa Crane’s books now and the thing I love most about her novels is that they are just straight up romance with no complications. She’s my go to girl for comfort romance and this novel is no different. First of all, I love how she takes an old familiar concept and makes it new. In fact, (and I’m not sure if this was her point or not) I like that the novel seems to say you can’t play games with people. They move on, they don’t wait forever. Too many romance novels act like one person is the only key to your happiness. The only issue I took with this novel was Ethan. He was in it entirely too long and I couldn’t understand why. The book is a bit shorter than I would have liked, but at the end I didn’t feel like I was missing anything. Spiritually, I love the idea of finding out God’s plan for your life and how, though it may be different, it’s always better. Good novel.